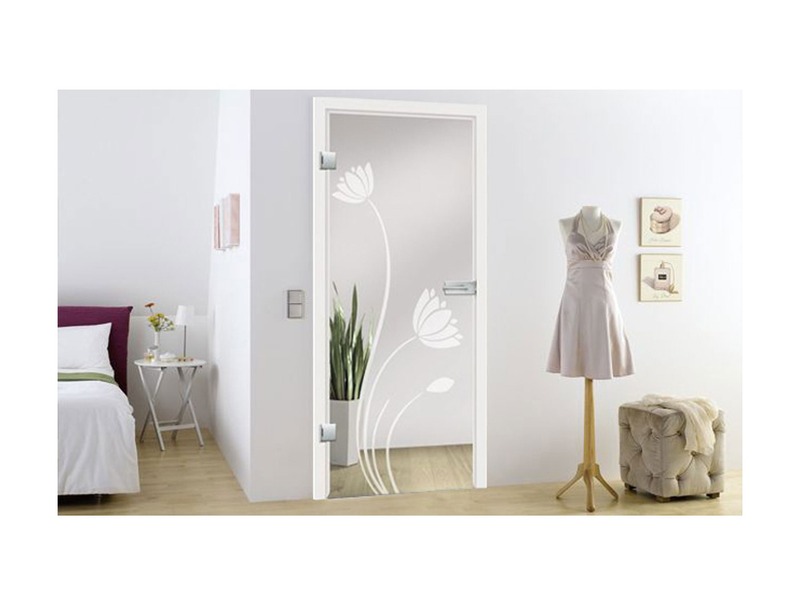 The Wasserlile glass door collection livens up your home environment. The frosted design delights with filigree details - subtly playful and simply beautiful. 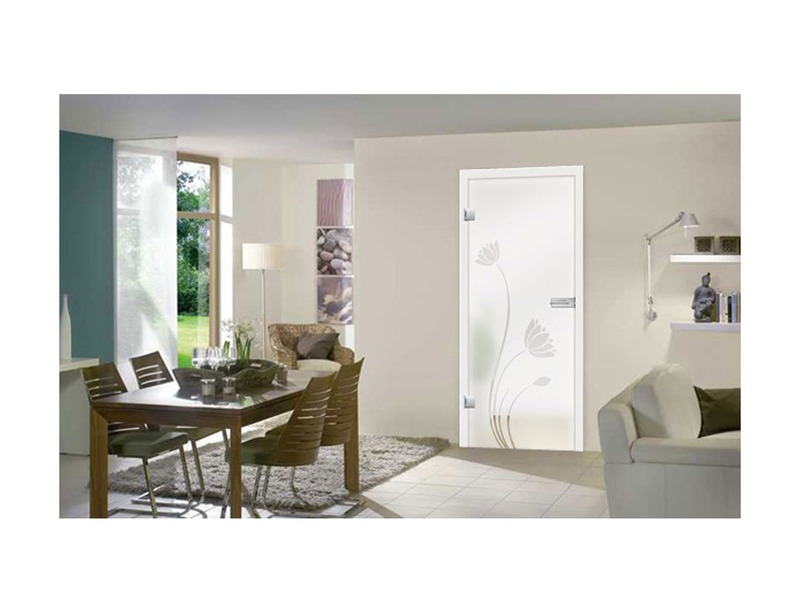 Whether in your living room, dining area or bathroom, become inspired by the clean, fresh designs of the Wasserlile glass door range and allow your imagination to take you beyond your boundaries. Break convention! Times are changing, as are the demands on modern living. While comfort and quality are still important, the addition of bold design compliments modern living decor. 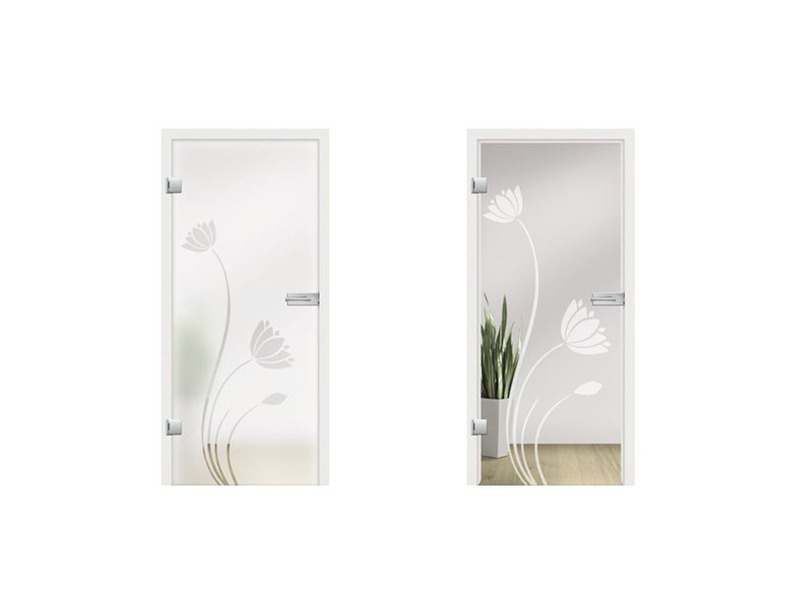 The Wasserlile glass door collection - in a frosted design on a clear surface for more light or a clear design on a frosted glass for privacy - will fit perfectly into any decor and separates rooms without being intrusive. The Wasserlile interior glass doors have a simple yet modern design and can be manufactured in sizes up to (w)1600mm X (h)2500mm.